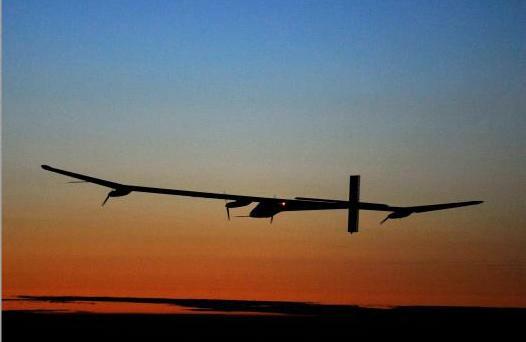 Solar Impulse, the four-engine solar-powered Swiss plane, completed a 26 hour flight. Pilot Andre Borschberg flew the craft to an altitude of 8,654 meters while achieving a top ground speed of 68 knots. Solar Impulse's 12,000 solar panels cover its 64 meter wingspan; approximately one-quarter of the weight of the plane is accounted for by the lithium batteries that powered it at night. "...the one big trouble with all solar engines, eliminating the obvious restriction that they decidedly aren't dependable for night work, is the difficulty of getting an area to absorb the energy. Thanks to Fortigurn for pointing out this story.